I’ve been a recycler since way back before that way even a word, always finding ways to create new from old. Are you like that too? 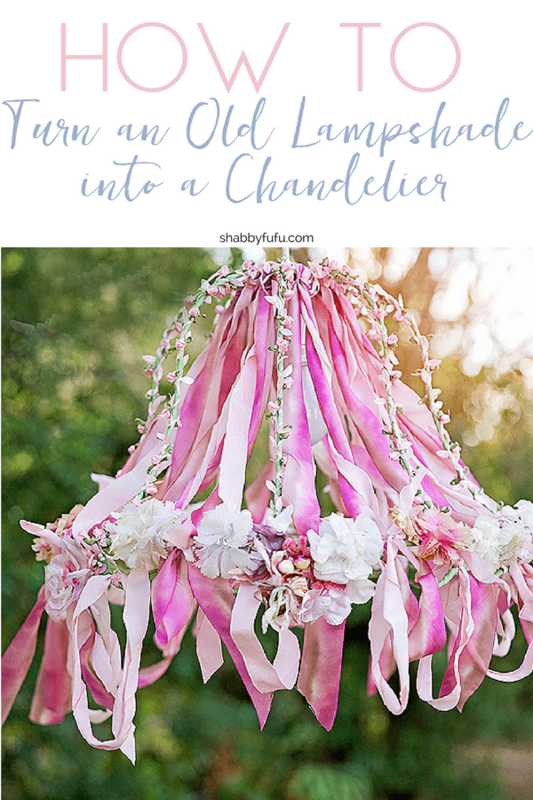 I found a tattered old lampshade at a thrift shop and new that it could have a a beautiful new life as a ribbon work chandelier and I’d like to tell you how I did that step by step in this tutorial. 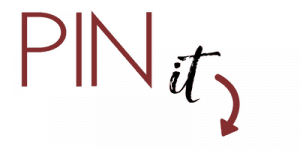 Are you with me? 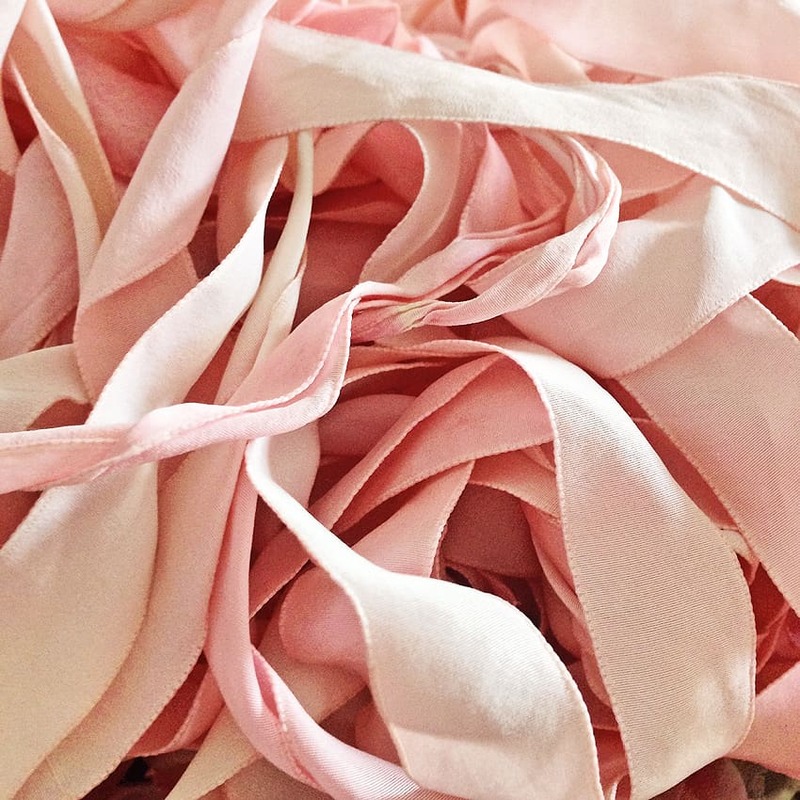 Art and creating pulls at my heartstrings and I have been feeling the need to get into my studio and I knew that this project would be a winner. 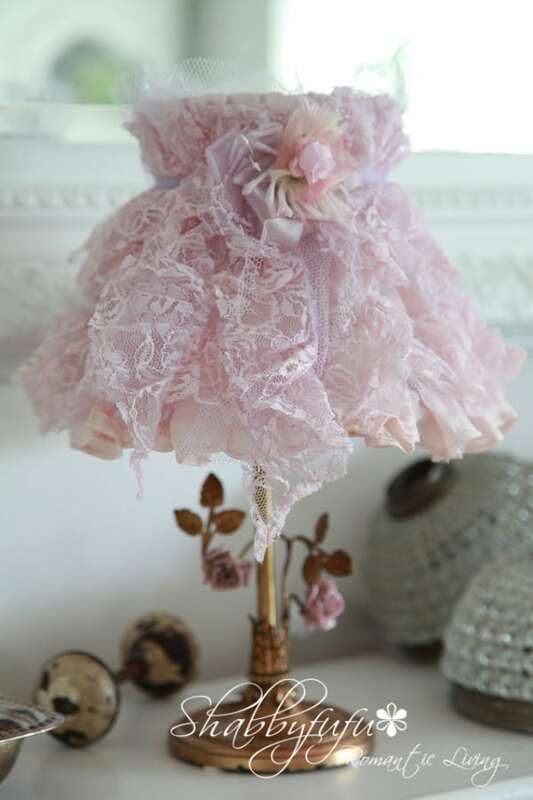 I have been making chandeliers, lamps and lamp shades for many years now. The one above was made (and sold) quite a few years back, but I recently found the image on Pinterest again and thought that I’d share. I had an orphaned large lampshade in my studio that has been sitting around for a couple of years, waiting for a fluffing of some sort…so out came the supplies today with a design in my head. I began by wrapping the entire frame in green seam binding, as I wanted a garden theme. Taking some time, I hand painted the most beautiful antique silk ribbon that I found in France. 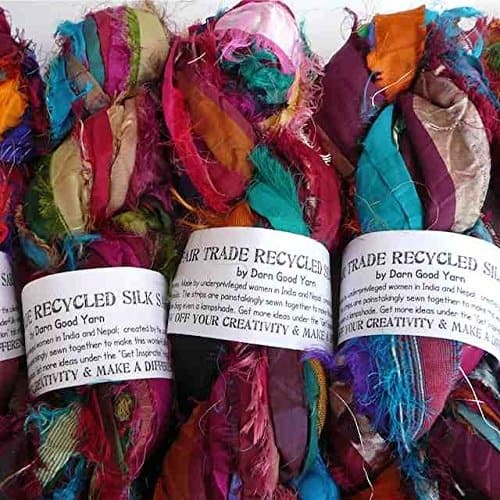 You could also use silk sari ribbon that comes in a variety of shades and I love how the edges on these are tattered. After the frame was wrapped in the seam binding, I wrapped additional layers of ribbon that have baby pink rose buds and also some ribbon with leaves attached. 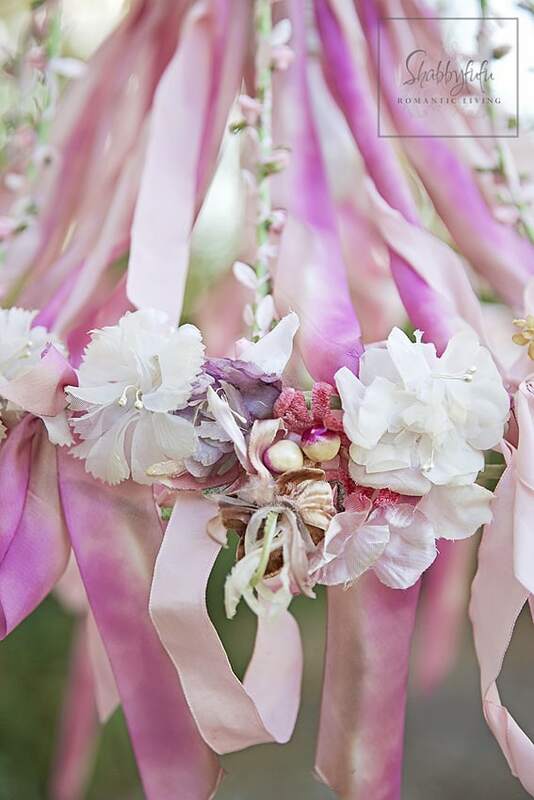 Then I worked with more hand dyed silk ribbons in lavenders…tying, twisting and twirling until it looked pleasing to my eye. 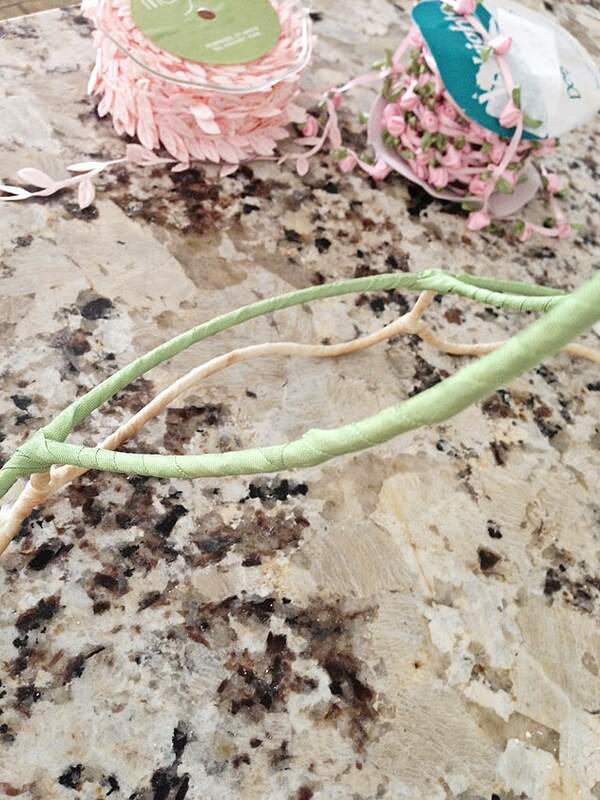 Vintage millinery was added as the finishing touch. I pulled most of the millinery off old church hats from the 1950’s era. Once you are satisfied with the look of your lampshade chandelier, the final step would be to electrify it. In this project I used a hanging lantern light kit with a plug at the end and put it through the center part of the top of the completed chandelier. 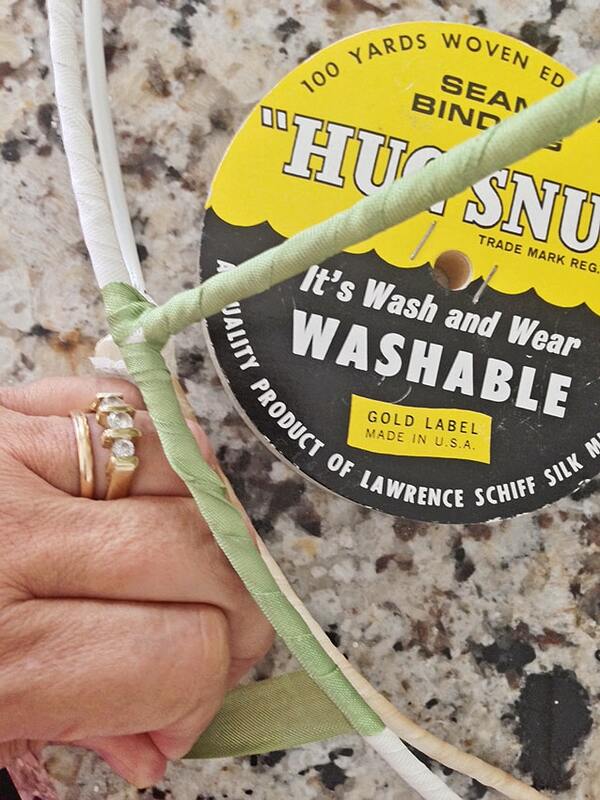 The cord on these are pretty heavy duty, so you can simply wrap around a tree branch a couple of times to hang. If hanging outdoors, be sure to plug into a grounded outlet and remove when not in use. 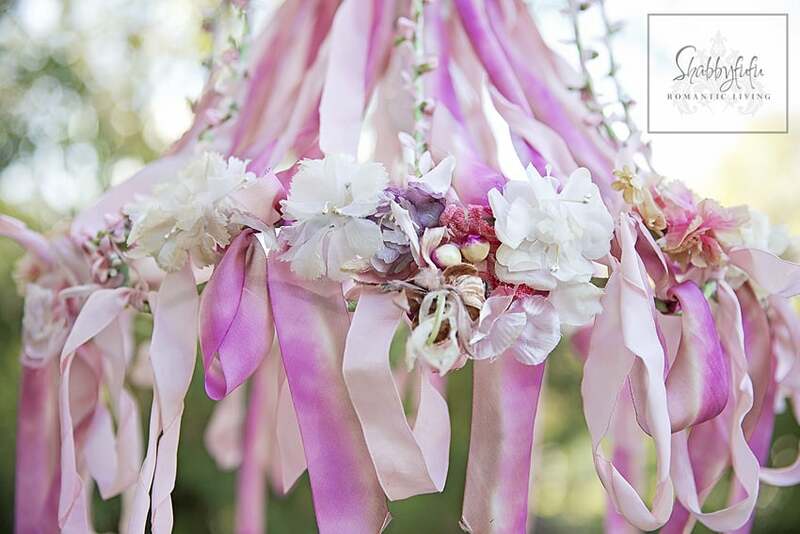 These are so pretty for a bridal shower, farmhouse style outdoor wedding, baby shower, etc! I love your afternoon creations. Such a wonderful way to relax and unwind when your busy. How cute! Isn't it cool when you find pictures of one of your projects on Pinterest? I am always so thrilled, lol. 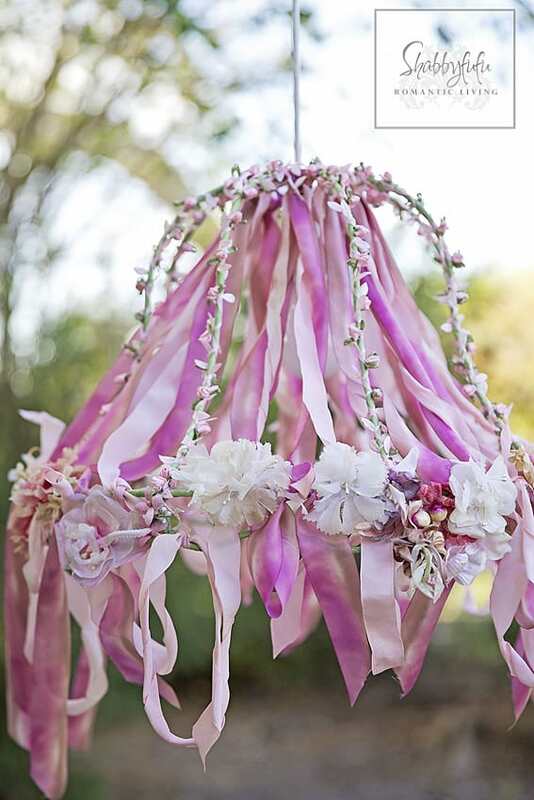 Such a gorgeous, gorgeous chandy!…I can see many people quickly gathering supplies to create one of their own…thanks for sharing!!! So many beautiful elements here. So sweet! So beautiful and creative. 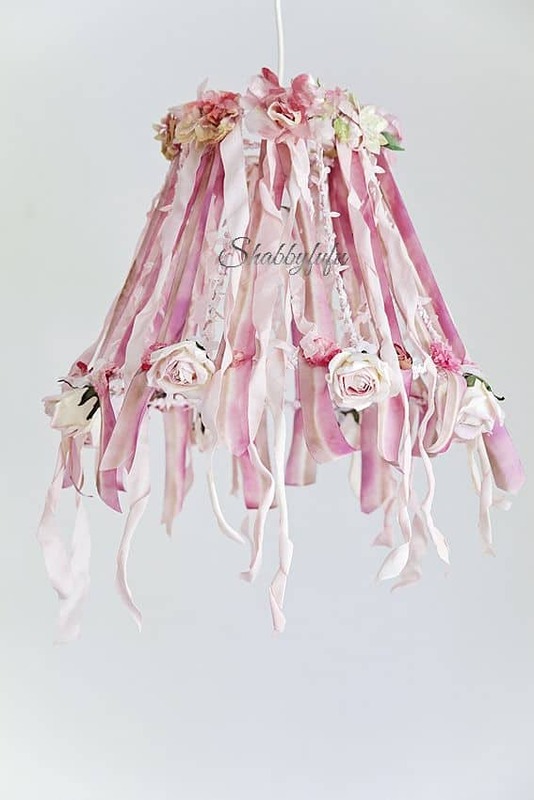 Love the hand dyed ribbons also. Gorgeous! You are a talented woman. Might we see a "before" picture of the bare base? Thanks! It's beautiful!!! 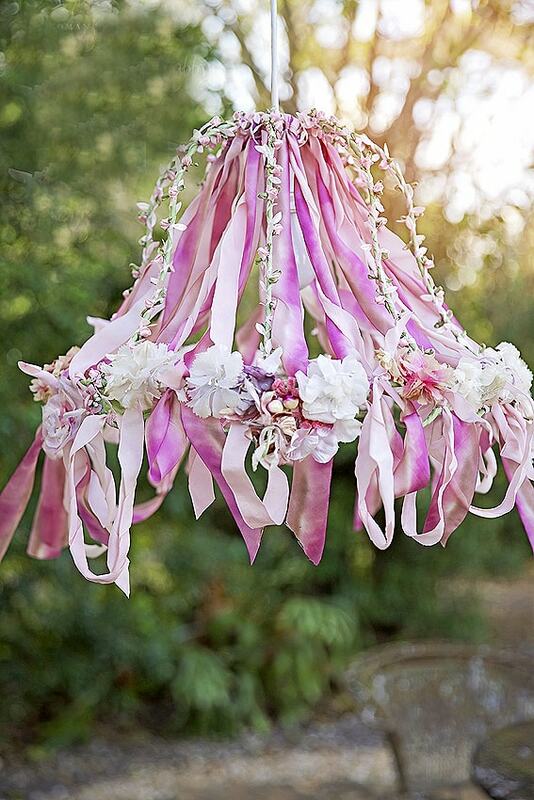 I just love this — so pretty, so romantic! This is just beautiful, just the right amount of pretty! Such a pretty chandelier! My daughter would love this in her room. This is so beautiful! Looks amazing in the sunlight! Janet! 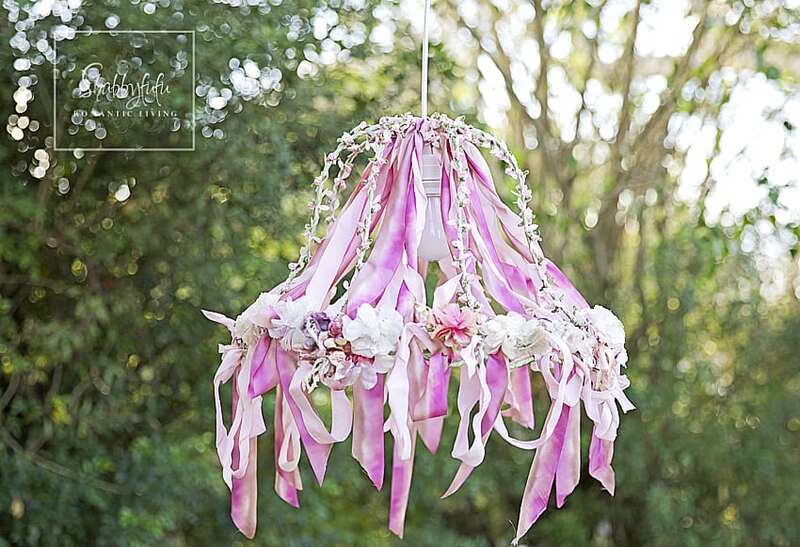 I am in love with your beautiful little ribbon work chandeliers! Soooooo pretty! Thank you for sharing! I have a few shades that are bare and could use something like this to pretty them up! I hope you have a great week! That is so pretty!! I am seeing one of those above a rustic barnwood table or in a bedroom. Simply adorable, I would love to try this! Gah! This is gorgeous! I just want to set up a tea party underneath it right now. Thanks for sharing! 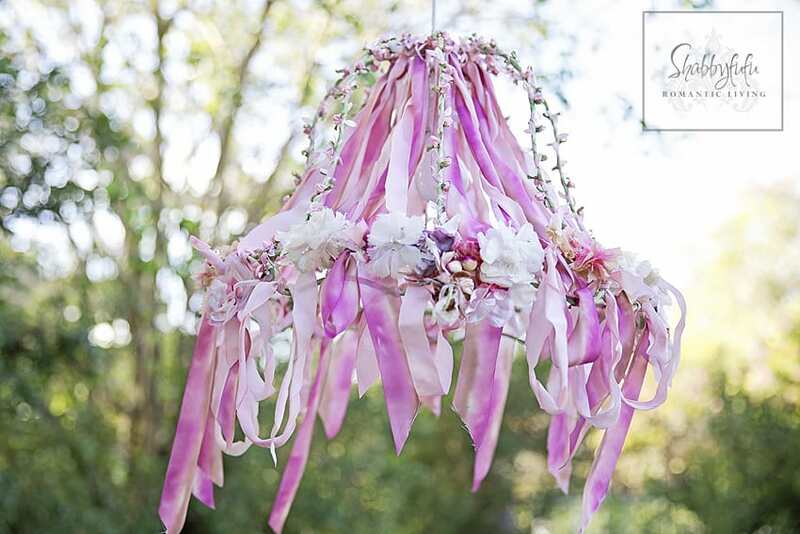 It's wonderful, my Neice is getting married in November and these would be great even done up in all whites and hanging about, even small mini shades on mini lamps as center pieces. I am do warding it to her Mother now!